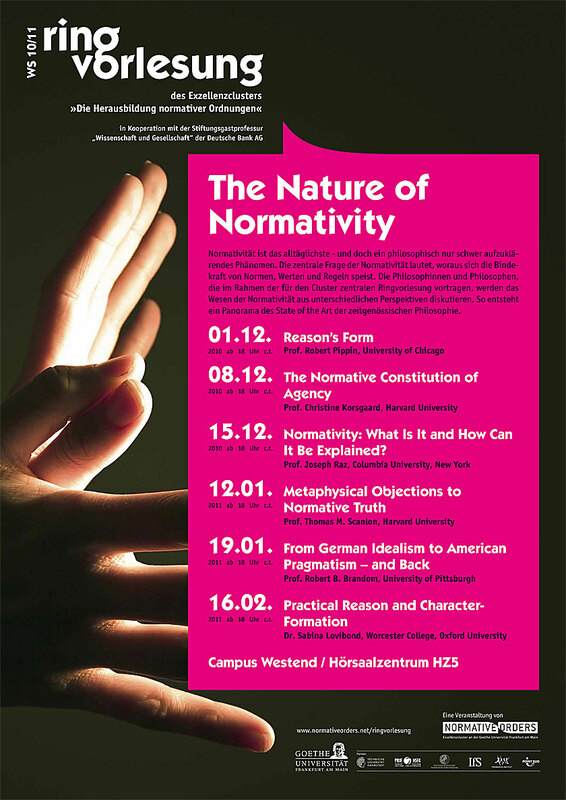 Ooh, this looks interesting – in a parallel universe, I’d like to be in Frankfurt for the next couple of weeks to attend this set of lectures on Normativity. This is one of my favourite topics these days, and I have been trying to write about the ideas of this set of thinkers, and failing to find a way to do so which seems to fit with conventions in critical human geography. There is a resistance to certain styles of reasoning in this world, which is often covered over by appeals to what does and doesn’t count as ‘political’, which seems to make this strand of philosophy oddly beyond the pale. Maybe because this stuff is just really difficult, in a way that a canon of French dudes, inflected by Heidegger, might not be, despite appearances? Or that it is difficult in a serious way? Just in time for Christmas, a new book out on becoming a father, Making Sense of Fatherhood, by sociologist Tina Miller at Oxford Brookes, who has previously written about experiences of becoming a mother. My reason for mentioning this is personal, because I am in it. I was one of Tina’s research subjects, back in 2006 and 2007, which involved being interviewed before and after the birth of our first child. The publication of the book is timely, since we are now expecting our second just after Christmas, so it gives me an opportunity to remember what life felt like last time. I haven’t read the book yet, so I don’t know whether I ended up being a useful [anonymised] informant, nor what Tina has made of all the dad-talk in general. But I enjoyed the experience of being in her project, both for personal and ‘professional’ reasons. Personally, it was fun to have the opportunity to talk about what was going on way back then, and ‘Tina’ became a kind of imaginary friend in my head, who I would silently talk to as I wondered the streets of Bishopston pushing a pram for what seemed like hours on end. Professionally, it was interesting to be on the other side, as it were, to have a glimpse of the ordinariness of how lots of empirical social science gets done. I didn’t really think of it this way at the time, but it was pointed out to me the other day that my participation in Tina’s project sort of counted as ‘volunteering’. So now I am intrigued to discover if there is any work out there on how dependent social science research is on the willingness of people to be interviewed, counted, surveyed, and so on. So, I might have more thoughts on being a research subject once I have read the book; and I’m going to look into the ‘research volunteering’ thing a little bit more too. In between all the busy, engaged parenting, obviously. Now that I live in a town almost devoid of bookshops, it’s a big occasion when I get out at the weekend and end up buying a book of any sort. Last week in Stroud, the slightly odd leftie-hippy enclave in the heart of the staunchly Tory Cotswolds, I picked up two second-hand volumes of collected reviews by Pauline Kael, the long-time film critic for The New Yorker from the late 60s through to the early 90s. I haven’t read anything by her since I was a student in the late 80s, in the days when I tended to go to the cinema on average once a day, mainly at 11pm at night. I remember liking her not least because she had a soft-spot for John Hughes-style teen movies, on the grounds that they were the only American films left which centred on questions of class. I was primed to re-acquaint myself with Kael because earlier this year I read a great little book by Craig Seligman, Sontag and Kael: Opposites Attract Me, which compares and contrasts the styles of criticism of these two quintessential ‘New York intellectuals’, both very serious writers, both interested in ‘the popular’, but one, Kael, more than the other, managing to avoid the traps of avant-garde disdain for popular taste. Reading the essays in the two volumes I bought in Stroud, Reeling (which covers the early 70s) and When the Lights Go Down, covering the ‘golden age’ of mid and late 70s Hollywood films (although one surprise is just how many films Kael didn’t seem to review, no Chinatown, or plenty of other ‘classics’ of that time, but lots of reviews of late-period John Wayne), is proving a joy, partly because lots of these films are the films I grew up watching on TV, so there is a familiarity to them, but also because reading Kael writing about them contemporaneously, placed in their 1970s milieu of the weekly or monthly review, throws films like Westworld or Taxi Driver or Saturday Night Fever into wholly new perspective, as part of their time, sitting alongside Rooster Cogburn or The Gauntlet, as part of a contested public culture of representations of violence, sexuality, liberation, aspiration, and resentment. What I have most enjoyed about reading Kael again is the principled populism of her criticism, expressed most clearly I think in the sense that the object of her criticism is not ‘Film’ so much as ‘the movies’, ‘movies’, or a ‘movie’. This is the privileged term of her writing, and I think it captures something quite distinctive and valuable that offsets her writing from more solidly ‘academic’ styles of film analysis. ‘Movies’ indicates an appreciation of the unavoidably populist dimension of this form of, well, popular culture – Kael’s negative judgements are always shaped by a sense of disappointment that a particular movie fails to be as good a version of the kind of movie it claims to be (in one of these pieces, she describes the latest release by a reknowned French director as probably ‘a perfect film’ but for her an ‘entirely forgettable movie’). This attitude is summed up in a great definition she gives at the start of Reeling, of the ‘maze of borderlines’ in which criticism operates: “criticism is a balancing act, trying to suggest perspectives on the emotions viewers feel, trying to increase their enjoyment of movies without insulting their susceptibilities to simple, crude pop”. This is wonderful statement of Kael’s appreciation of the visceral, sensual qualities of ‘movies’ – that they can leave us ‘reeling’ – but also of her self-understanding of her own relationship to viewers/readers. This definition of criticism strikes me now, on reading it for first time some three and a half decades after Kael penned it, as standing in very stark contrast to a style of cultural theory in which discovering the emotional or ‘affective’ dynamics of enjoyment involved in unashamedly ‘mass’ forms like the movies is still, astonishingly, presented as a politically charged act of revelation and de-mystification. Reading Kael again has reminded me of the rarity of finding academic writing about popular culture that doesn’t fall into the trap of condescending towards popular taste, and of how much of the writing and thinking about ‘culture’ I have learnt most from has not been written by academics at all, but by ‘critics’ who actually like the cultural forms, if not every example, about which they write.